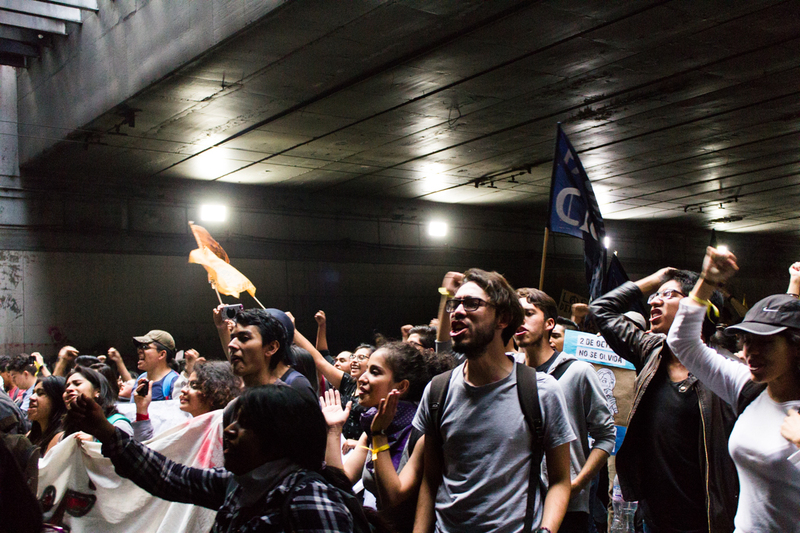 Marchers revel in the echo of their chants as they go through the underpass below the Paseo de la Reforma avenue. 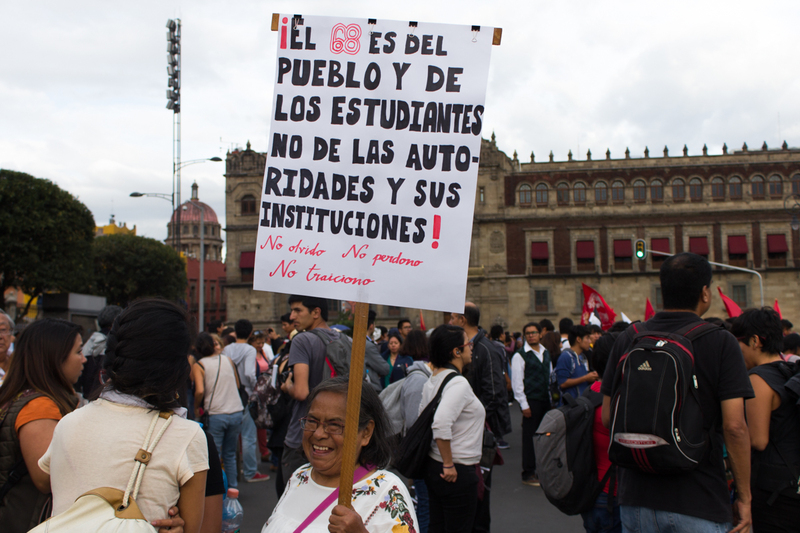 MEXICO CITY—The city center was paralyzed on Tuesday by the floods of mainly young people marching from the Plaza of the Three Cultures to the Zócalo, the two main squares of what were once the ancient twin cities of the Aztecs: Tlatelolco and Tenochtitlán. 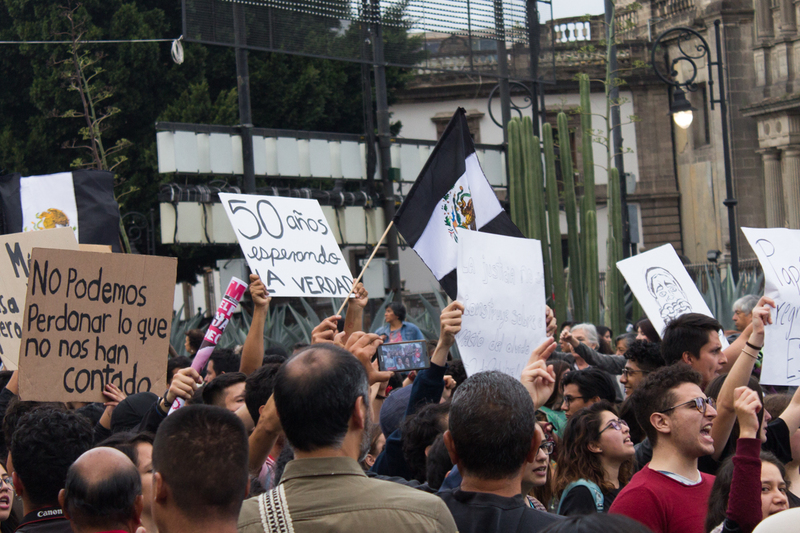 Today, for everyday Mexicans, the word Tlatelolco does not bring to mind the ancient market city but the massacre of unarmed students that took place exactly 50 years ago on October 2, 1968—that’s what the crowd was here to commemorate. One popular chant during the march was “We are not one, we are not one hundred. Stupid government, count us correctly,” where protesters demanded the government acknowledge the size of crowd. At one point a woman with a loudspeaker announced she had been informed that two and a half million people had joined the march, but at the end of the day the city’s government calculated that about 90 thousand people had marched. But the more important number the protesters were demanding the government recount was the official death count of the massacre, which currently stands at 25. Advocacy groups and student leaders at the time claim that up to 300 hundred were killed by the army and a paramilitary group called the Olympia Battalion. 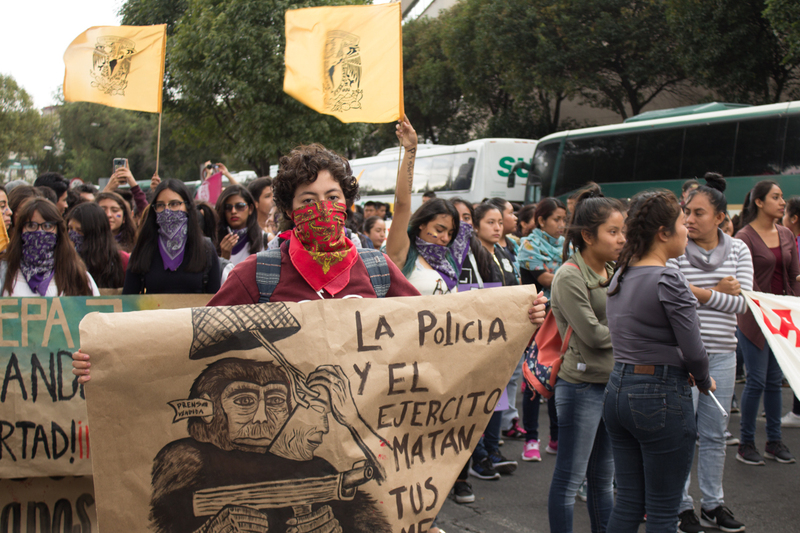 Mexican authorities recently recognized the Tlatelolco massacre as a state crime, but the protesters felt that justice would not be served until the body count was adjusted and those responsible be brought to justice. In 2002, a specialized prosecutor’s office was created to investigate the massacre. 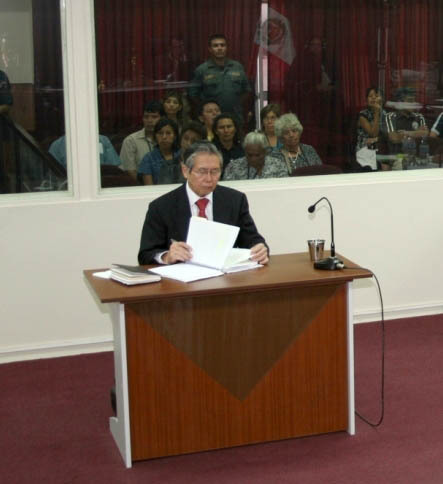 It filed charges against then interior secretary and later president Luis Echeverría, but Echeverría was exonerated by a court in 2007 and the special office was closed soon after without reaching any conclusions. 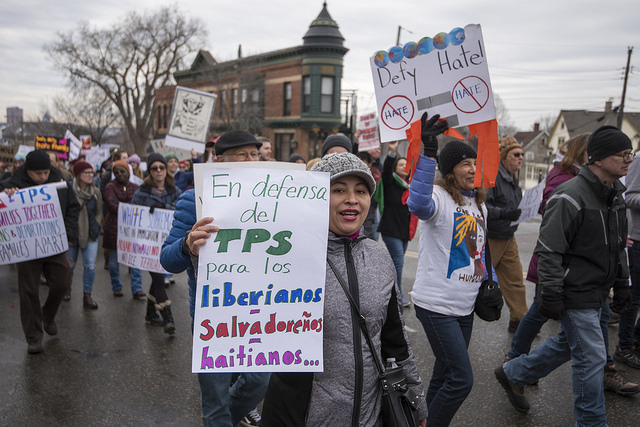 Other important numbers also featured in the chants of Tuesday’s march: “¡Uno! ¡Dos! ¡Tres!… 41! 42! 43! 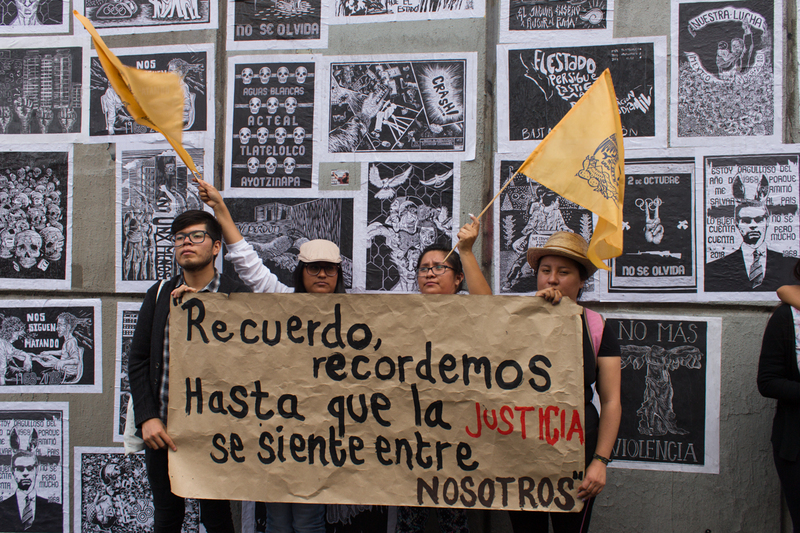 ¡Justicia!” Protesters counted one by one the 43 students of the Ayotzinapa Rural Teacher’s College, in the southern state of Guerrero, who in 2014 commandeered a bus to travel to Mexico City for the yearly Tlatelolco anniversary but were detained and disappeared by local police forces, allegedly in collusion with drug traffickers. 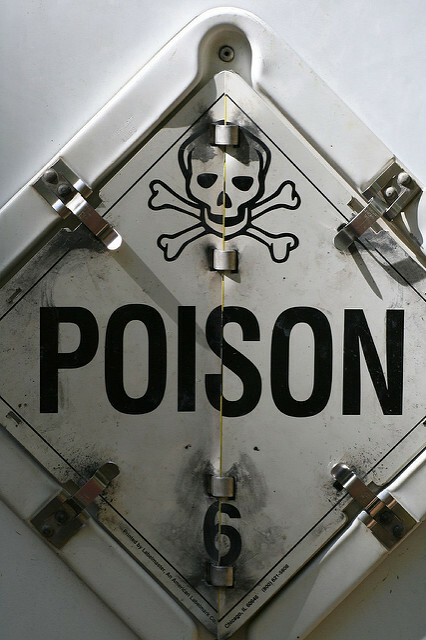 Many questions remain about what happened to the students and who was ultimately to blame, and the answers given by the government’s official investigation haven’t appeased the demands for justice from the student’s families, the United Nations or federal courts. Tuesday’s march was an accumulation of demands: for truth, for justice and for the right to protest a state that continues to fail to do better. 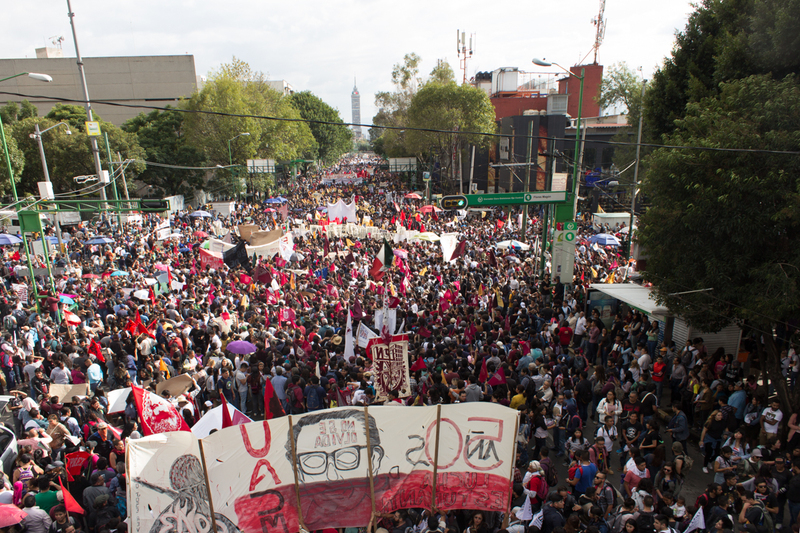 Three days before, on Saturday, President elect Andrés Manuel López Obrador promised to “never ever use the military to repress the Mexican people.” It was a promise that many Mexicans were happy to hear but will believe when they see – in the meantime the people march. 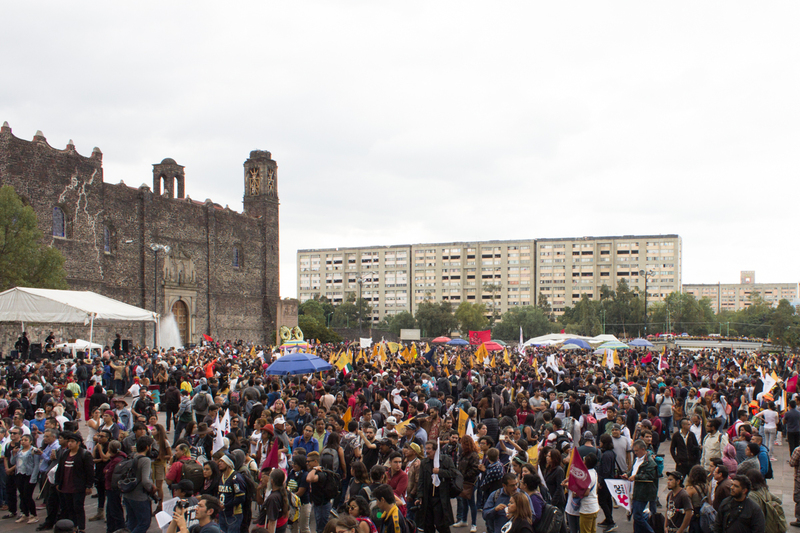 Protesters began to gather in the Plaza of the Three Cultures, in the Tlatelolco district, in the early afternoon. This was the site of the 1968 massacre when an undetermined number of student protesters were gunned killed. 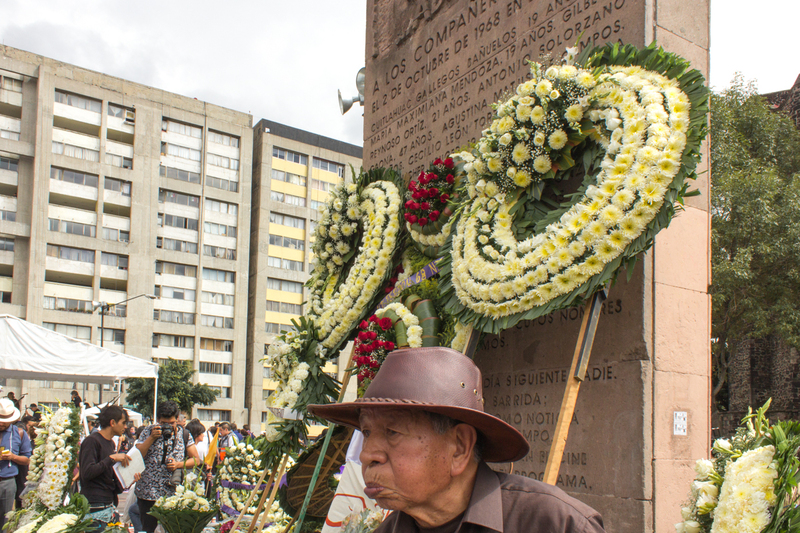 A memorial for the victims of the Tlatelolco massacre was adorned with funeral wreaths. 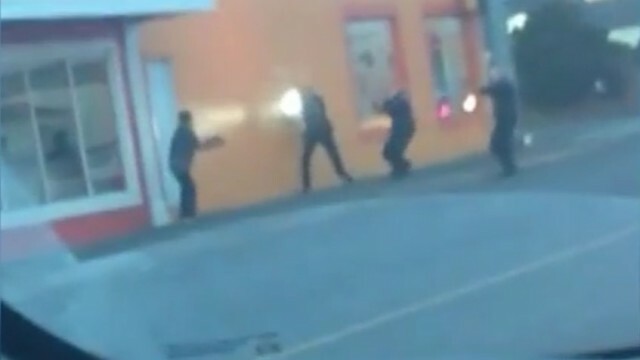 Young women with bandanas covering their faces carry signs calling the police and the army murderers. View of the cross between Lázaro Cárdenas and Ricardo Flóres Magón avenues from a footbridge. The Latin American Tower can be seen in the distance. 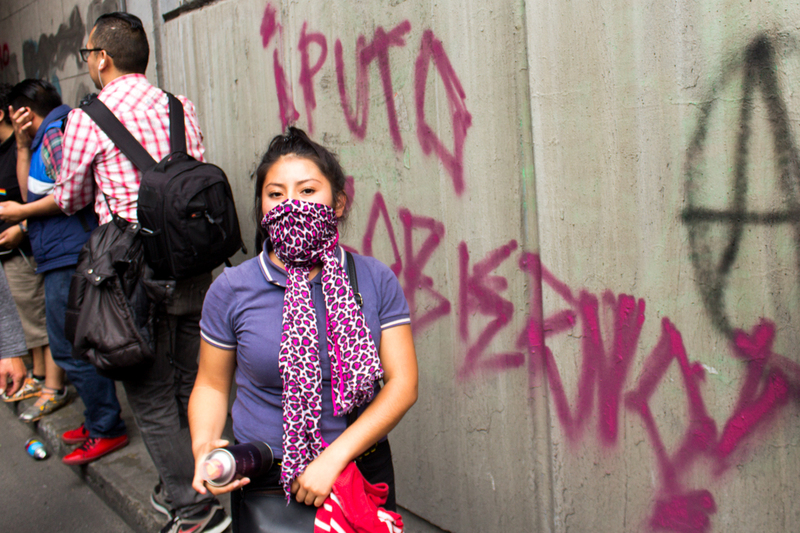 A young woman with a covered face deprecates the government with bubblegum pink spray paint. 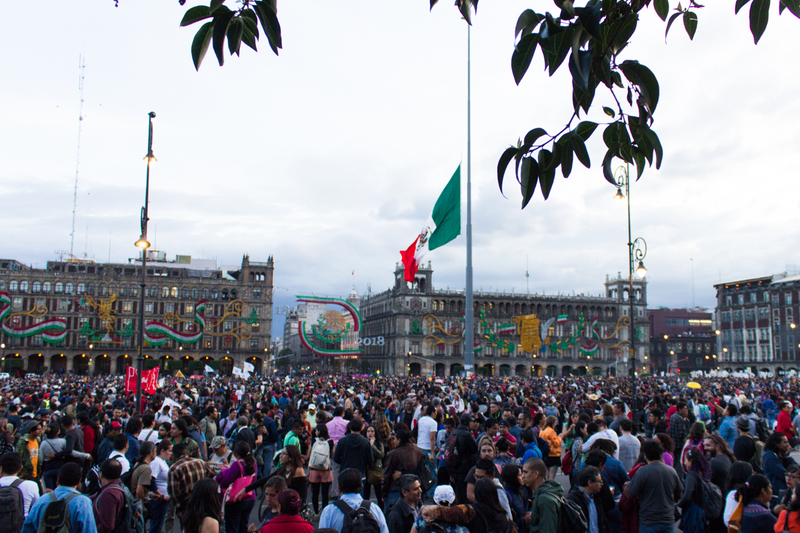 Thousands fill the Zócalo square, where the Mexican flag flies at half-mast in honor of the victims of the Tlatelolco massacre. Isabel is a free lance journalist and anthropologist from Colombia and a 2018 alumni of NYU’s journalism and Latin American and Caribbean studies graduate program. Before that she was a researcher at Colombia’s National Center of Historic Memory, there she worked on projects on sexual violence as a war crime, the gender aspects of the Colombian armed conflict and the symbolic reparation of victims through the collection of their life histories. 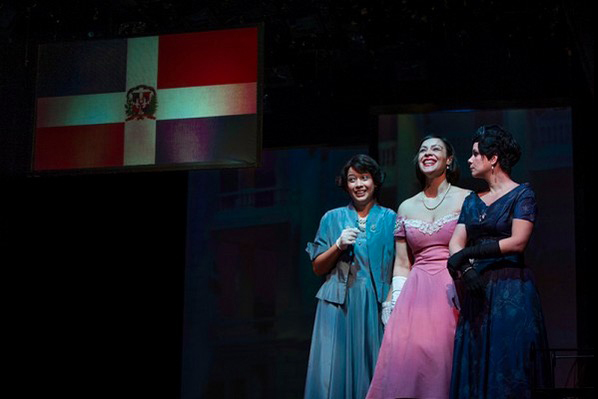 Her beat topics are memory and the legacies of armed conflict, sexual and gender violence and social justice.